On the 6th of April 2019 Rubik Hub team is going to be present again at one of the most important IT conferences in Romania, CODECAMP. At this edition the main topic of Startup Track powered by Rubik Hub is #collaboration. _We live a new era of collaboration, community. Only together we can build a long lasting, reliable and sustainable entrepreneurial ecosystem. Each and every one of us plays an important role in its development . Weather you represent an university, a public institution, a NGO, a private company or a startup – you have your own superpower. Use it for the benefit of the community! The structure of the event covers several points of interest for our audience, among which probably the most important are going to be education, innovation and responsibility. Education is the most powerful weapon which you can use to change the world (Nelson Mandela). Education is not received, it is achieved. Learn from our speakers how the drive to change things into better can influence our future! In order to progress and grow you have to acknowledge all the threats and opportunities around you. Embrace the risks and think big! Ask for help and #co_create something strong and reliable for the benefit of the community! 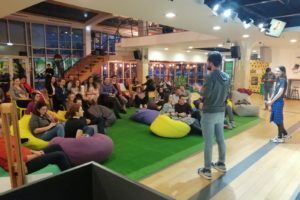 Join this talk to debate the state of the Romanian entrepreneurial ecosystem, starting from the newly published Romanian Startup Business Barometer. 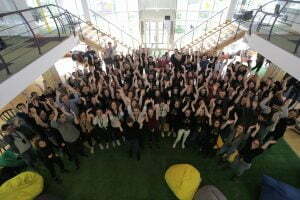 CO_innovation #2: startups + company – Innovate with intention! Every traditional company with a progressive mindset acknowledges the fact that at a certain point they need to embrace that disruptive element that speeds things up. This comes from a wide range and it can be a new technology, an innovation department, a collaboration with a startup and many more. Discover the inspiring experiences of our speakers! A startup community is a vibrant mix of energy, innovation, optimism, collaboration, failure and compliance. It has all the needed elements to thrive and grow and to be part of the socio-economical change in a country. 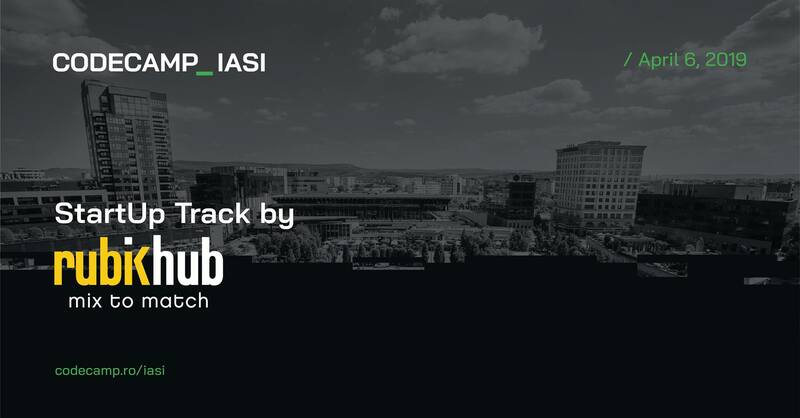 At Startup Track we bring you great examples from the Romanian entrepreneurial ecosystem that seek for validation and empowerment. A strong startup ecosystem is built upon trust, respect and loyalty. Every stakeholder – from the micro to the macro level – has various responsibilities and should have the drive to act for the better good. Whether we are talking about public institutions, NGOs, founders, schools or private companies, each of us can create a positive impact and we can influence the growth of the ecosystem. Among the confirmed speakers, we can already share with you some great names: Mihai Rotaru – founder of Clever Taxi, Oana Bouraoui – Community Builder @Find my Mentor, Diana Miron – founder @JS League, Catalin Scripcariu – Program Manager @Innovation Lab, Adina Cretu – Program Manager Startarium and many more! Join our talk! Don’t forget to register here!